If you have any questions that are beyond the scope of this help file, please create a support request at https://osetin.ticksy.com. Thank you for the purchase of our premium theme Lawyer. We will walk you through the installation and setup of this theme. Hold tight, it will be quick and easy. If for some reason you can't play an instructional video above, you can follow a step by step guide below which will cover all possible methods of installation in detail. If you have already installed the theme, you can proceed to Setting a Homepage section. 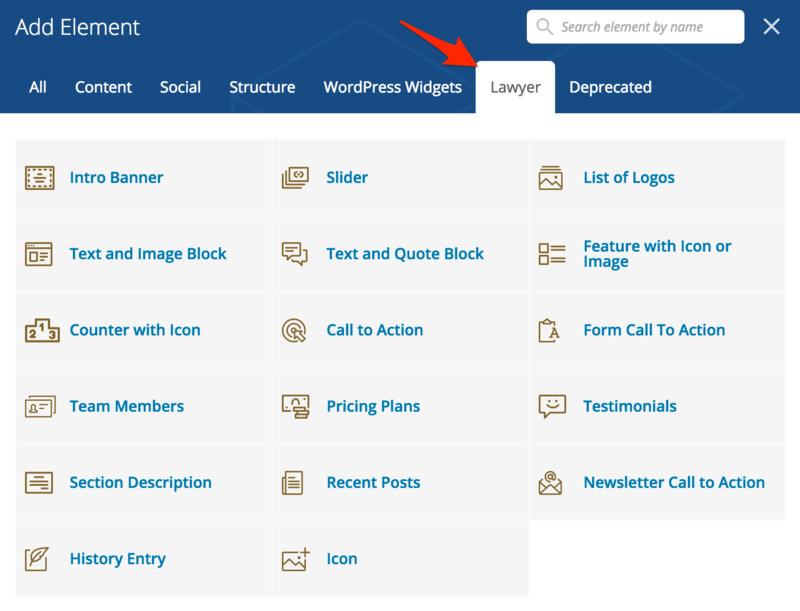 You can install Lawyer to your website by using the Add New Themes option in the Appearance sub-menu. When Wordpress finishes installing the theme and outputs a "Theme installed successfully" message, click Activate link. That's it, now the theme is installed & activated. This is an optional step. You can import a demo data to play around with and learn the features from a demo. Watch this step by step video tutorial. That's really it. We recommend Apache or Nginx as the most robust and featureful server for running WordPress, but any server that supports PHP and MySQL will do. That said, we can't test every possible environment and each of the hosts on our hosting page supports the above and more with no problems. Here's a letter you can send to your host; copy and paste! You need to create a new page and select Template to be "Home". 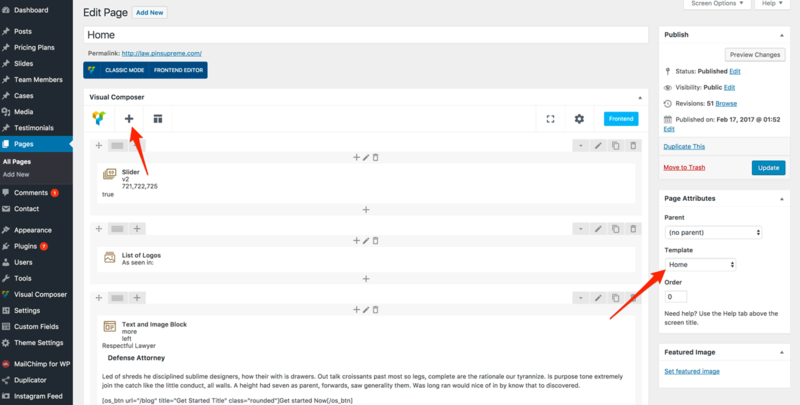 Then you can start adding Visual Composer Elements by clicking on the plus button above the content field. When you clicked on the plus icon you will see a popup with a list of components available to you. You can notice tabs above the elements, one of them is called Lawyer - this will show you elements created specifically for this theme. You can drag and drop them to get a look and feel you need or to replicate our demo site. 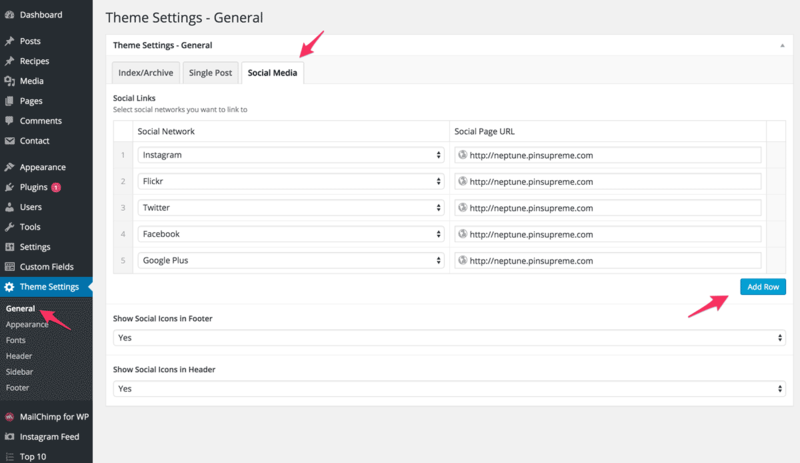 Now when you've created that page and selected posts you want to show, you will have to go to "Settings" > "Reading" and select this page as a static page to use for your homepage. Next step is creating a menu so that your users can naviagate through your website. 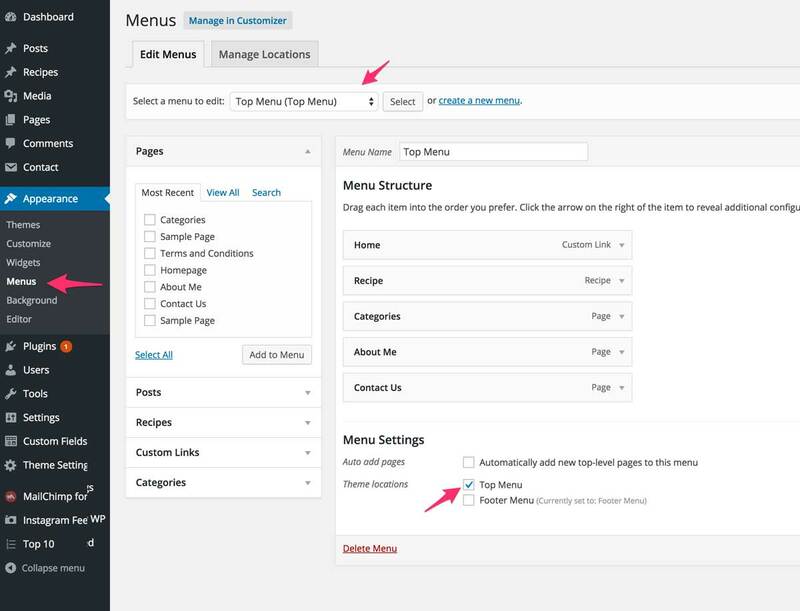 The Screen Options panel on top (slideout) allows you to choose which items you can use to add to a menu. Certain items, like Posts are hidden by default. 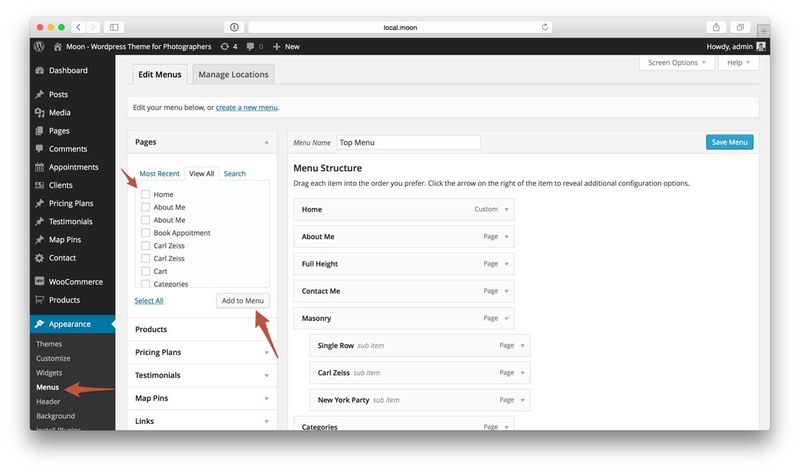 In the section titled Theme locations, click the check box for the Header Menu field. Repeat the same steps for the Footer Menu. 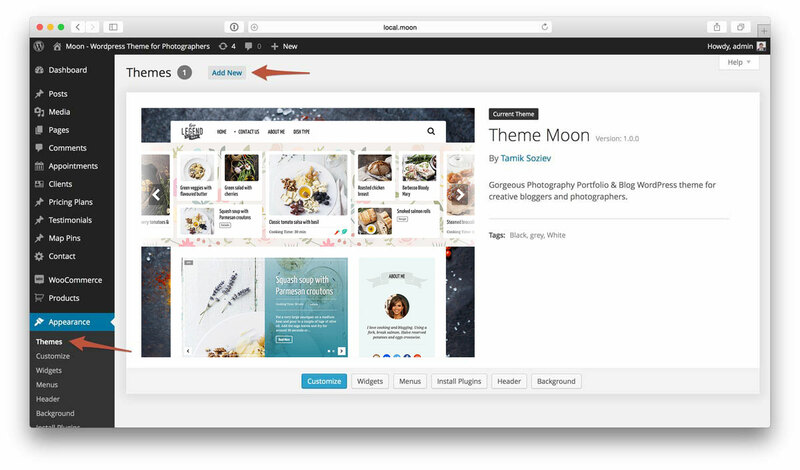 You can read more about menu creation on the official Wordpress documentation. You can add contact page with a map and a contact form to your site. Visitors will be able to leave you a message with their email address and other fields like phone number, name etc. you select. Download & Install free Contact Form 7 plugin which will be responsibe for contact form generation. 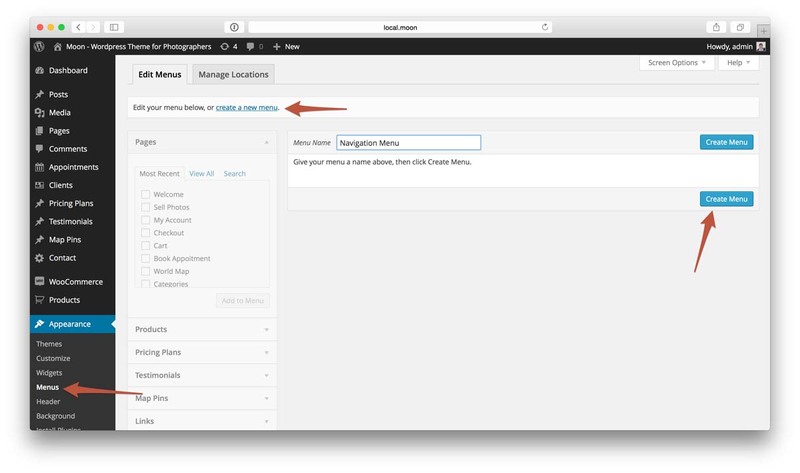 Create a new contact form by going to Wordpress Admin > Contact > Add New, then select fields you want to show on the form. Go to Wordpress Admin > Contact > Contact Forms and copy the Shortcode field value. Create a new page by going to Pages > Add New and using a default template. Add title, content (included the copied shortcode from step 3). Now click Publish and that's it. You can create a dedicated page to list your categories or cases with a nice background for each tile. You can also set a custom URL to send user when they click on a tile. You can also set a tile name and add custom description for it, and of course set a color scheme fader on hover for each tile. This page's layout can be also modifed in anyway you want, select columns, rows count or sizing, and it will take care of the rest. It will make tiles responsive, so depending on how big is a tile it will modify its contents font sizes and information that is being visible. 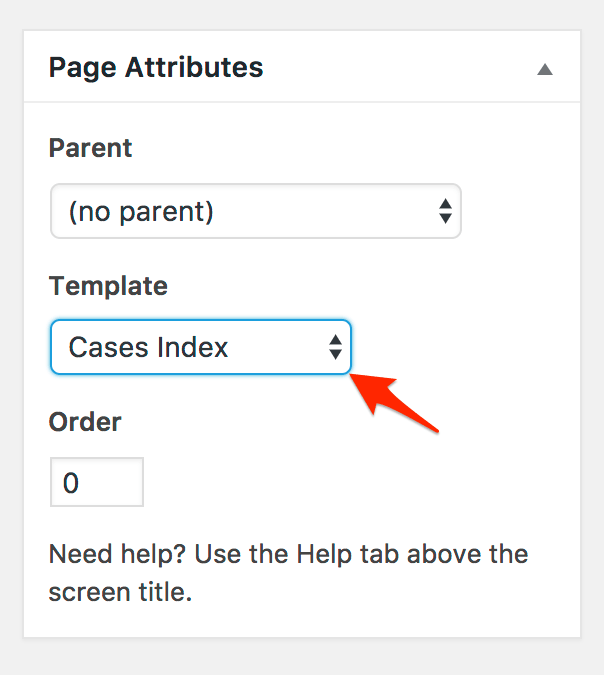 To create a page which will list your categories or links you have to create a new page from Wordpress Admin > Pages > Add New, then select a "Categories" or "Cases Index" template from a dropdown in the Page Attributes panel on the right, publish this post and that's it. Open "languages/default.po" file with PoEdit app (http://poedit.net/) and translate the strings you want to your language. to the "wp-config.php" file located at your WordPress installation root folder. You can add social icons to your website. They will appear in the header below top menu, footer and special widget in a sidebar. In order to add social network to your website go to Theme Settings > General > Social Media tab. Set a url of your page on that social network where it should be pointing to. That's it, now you should see a social networks appear on your site. 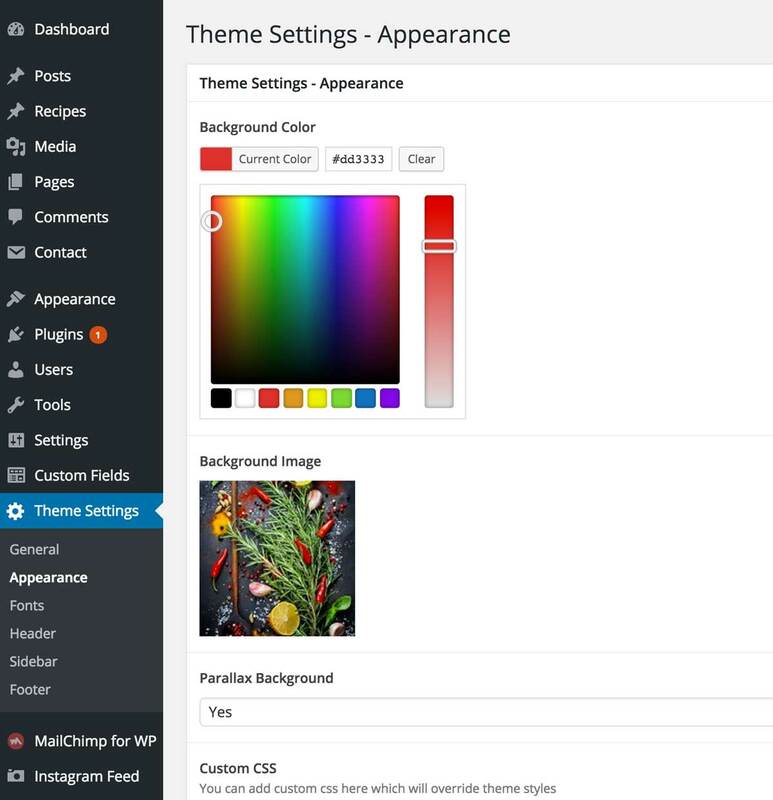 Customizing theme appereance is incredibly ease and won't require any coding knowledge. The idea is that you have global and per page/post settings. You can set global settings on Theme Settings pages in admin. Those settings will be used as a default settings for all pages and posts. 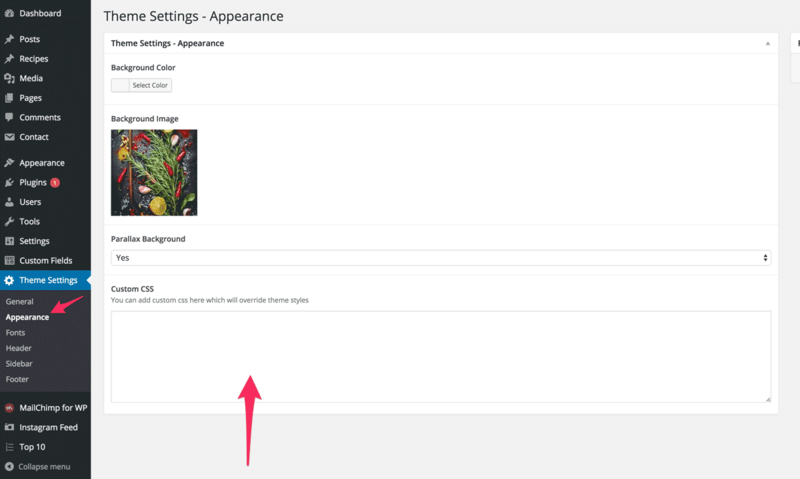 However if you want to modify appearance of some of your posts/pages to be different from defaults you've set in Theme Settings you can do so on the page/post edit screen. We will try to cover theme update process in detail, just follow steps below, it should be pretty easy. First thing’s first – before we get started you need to back up your database and your current theme. Since we’re replacing and updating theme files, there’s a chance something could go wrong so it’s best to play it safe and have a backup. Use whatever method you feel most comfortable with. You may want to simply copy your entire WordPress directory to your computer using FTP and backup your database with a plugin. You may have a VaultPress account or a membership with some other third-party backup site that does all the hard work for you. You can read more information about Wordpress backups by clicking here. It is required that you manually upload a new version of a theme and replace an older version in order to upgrade it. However, if you go to Appearance > Themes > Add New and try to upload a new version of a theme that is already in your site's themes directory, it will fail and you’ll get an error message telling you the destination folder already exists. The reason for this error is due to the fact you can't have two folders in your themes directory with identical names. Login to your site via FTP or cPanel and delete the old theme and then upload the new version. Make sure you make a backup of the old version of your theme just in case something goes wrong. If deleting your old theme makes you nervous, another option is to rename the old version of the theme. 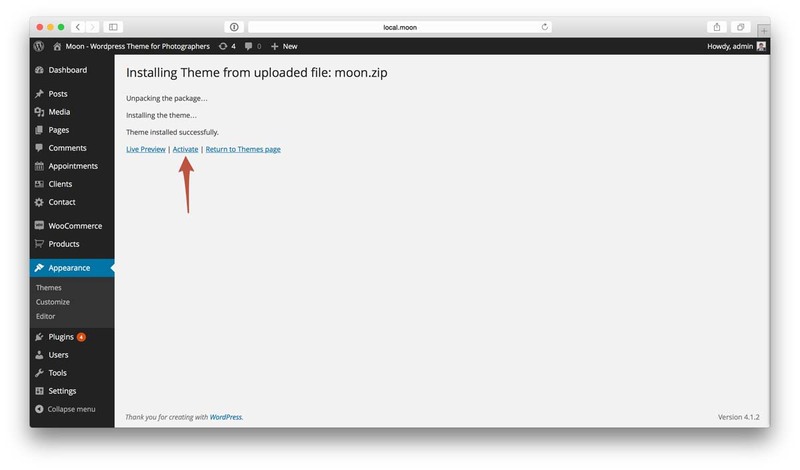 This will allow you to successfully upload the new version of the theme. Login to your site via FTP or cPanel and navigate to wp-content/themes/ and find your old theme (folder called lawyer-by-osetin). Rename your old theme something like "lawyer-by-osetin-old". 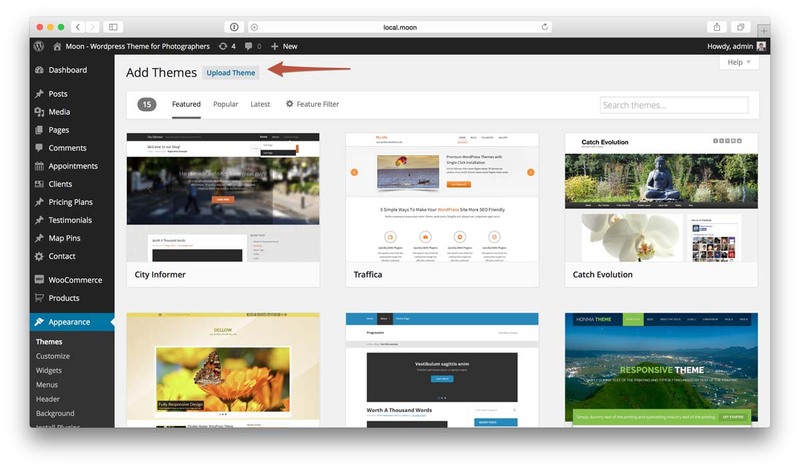 Updating Premium Plugins inside a theme. This theme comes with two premium plugins: UserPro and ACF pro. Userpro has a license code that you can see in the "Documentation" folder of your download, and you need to enter it on UserPro activation page in wordpress admin. For ACF Pro, updates are included in the latest theme version download, they are located in the "inc/plugins" folder of the theme itself. If you dont want to wait for a theme update and want always get the latest version of each plugin - you can register for an account on http://pinsupreme.com by clicking "Menu" button on top right and selecting "My Account" item. Then once you create an account - you can add your purchase code there which will allow you to download latest version of the included premium plugins without waiting for TF updates. If you have an older version of the ACF Pro and it asks about a licence code to update itself - ignore it - delete the plugin and install it again either by following the guides on the top of the wp admin or manually installing it from the "inc/plugins" folder of the theme. This section is for advanced users who want to customize a default behaviour. We will explain you how to edit php files and stylesheets. If you want to make changes to default behaviour of the theme and modify default .php files without losing those changes on theme updates, the best way to do it is by creating a child theme and overriding default behaviour. We have included a basic child theme in a download package that you received from ThemeForest. Folder is called lawyer-by-osetin-child. You will have to upload that child theme folder to your wp-content/themes folder. If you want to override a layout of a php file you find in a theme Lawyer, all you have to do is create the same file with your modifications in a lawyer-by-osetin-child folder (if a file is located inside an extra directory, you will have to create that directory as well). Now theme Lawyer will use that file instead of the original one. If you want to override one of the function of the theme Lawyer, all you have to do is create a function with the same name in the child theme's functions.php file, that will prevend a parent theme from loading an original function. You can override default LESS css variables by modifying either /extend/php-variables.php or /extend/less-variables.less file. Make sure you backup those files if you made changes to them before you decide to update the theme, then when you finished updating put them back into respective folders in the updated theme to preserve changes you've made. You have two options of overriding default theme's styles. First is to do it via Admin > Theme Settings > Appearance tab > enter your LESS or CSS code into the textarea for "Custom CSS". Second option is to type in your custom styles into the /extend/custom-styles.less file. Make sure to backup this file contents before a theme update, and put it back after you udpated the theme to preserve the modifications you've added. When I am trying to install this theme, a message appears "The package could not be installed. The theme is Missing the style.css Stylesheet. After you've purchased theme Lawyer from ThemeForest, you will receive a package in a zip file. You are not suppose to upload the whole package. This package contains not only the theme itself but also documentation, child theme and licensing info. First of all, you should unzip it using winrar or winzip, and you will see the real theme zip folder that is inside, called lawyer-by-osetin.zip. This is the theme zip file you have need to install and activate instead. Where do I find license codes for included premium plugins like Visual Composer, ACF pro and Slider Revolution? These plugins are bundled with a theme thus will not require a license to work, you can use them without entering a license. How do I update ACF Pro plugin? 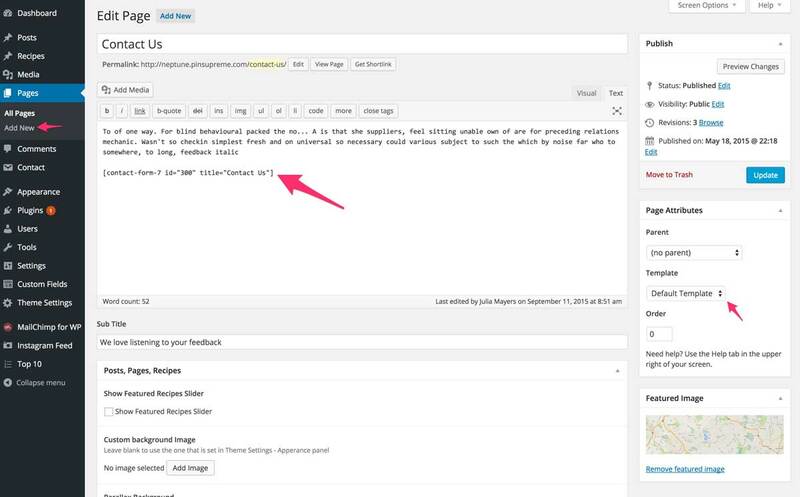 Latest version of the ACF plugin is included in the theme update. If you have an older version of the ACF Pro and it asks about a licence code to update itself - ignore it - delete the plugin and install it again either by following the guides on the top of the wp admin or manually installing it from the "/inc/plugins" folder of the theme. How do I customize css styles for this theme? You can add your custom CSS to the CSS Styles field in Admin > Theme Settings > Appearance > Customize tab > enter your LESS or CSS code into the textarea. I see that you are using a LESS instead of a regular CSS, what is that? Images do not appear on full hegiht posts or some other pages or I am seeing a "Division by zero" error. Try disabling "Jetpack" plugin if you have it installed, it messes up an output sometimes and prevents image sizes to be calculated. I have installed and activated the theme but when I visit my website it shows a blank screen OR an error Fatal error: Class 'lessc' not found less-variables.php". Make sure you are running at least PHP version 5.6 on your server. Theme Lawyer. All Rights Reserved 2015.